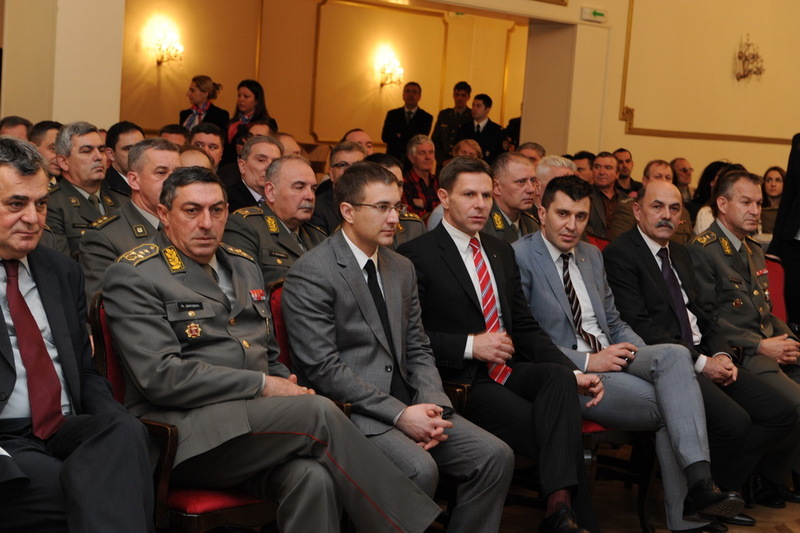 Belgrade, March 5, 2013 - The Military Intelligence Agency (MIA) presented today the monograph Military Intelligence Service in Serbia, depicting the Agency’s historical development. 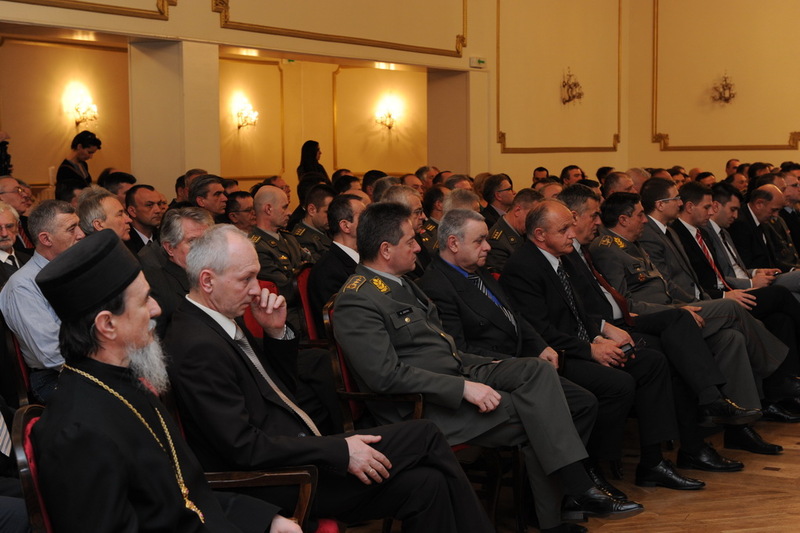 The promotion held in the Assembly Hall of the Media Center Odbrana was attended by National Assembly Speaker Nebojsa Stefanovic, Chief of General Staff of the Serbian Armed Forces General Ljubisa Dikovic, representatives of the Ministry of Defence and Serbian Armed Forces, defence attachés of numerous countries, church dignitaries, as well as numerous guests. 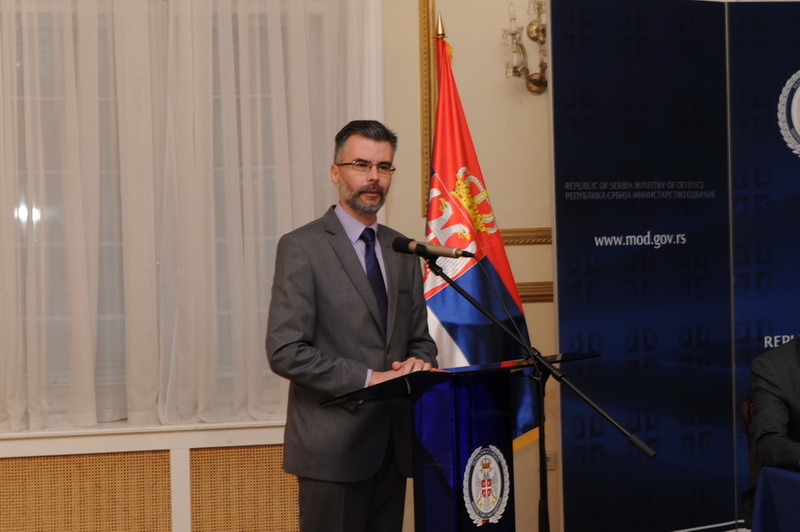 Director of the MIA Brigadier General Dragan Vladisavljevic assessed that the monograph was an opportunity to leave some evidence on ''the people from the shadow'', military intelligence officers, with whose sacrifices and heroic deeds the public was not familiar enough. ''This piece of writing is a historical proof of the continuity of the service, a remembrance that the military intelligence in Serbia is as old as the state and its armed forces and that it has never lost in significance. At the same time, this piece of writing is valuable for obtaining knowledge and experiences from the past'', said General Vladisavljevic. He added that considering one’s own history helped define the present and the future place and role of the MIA. 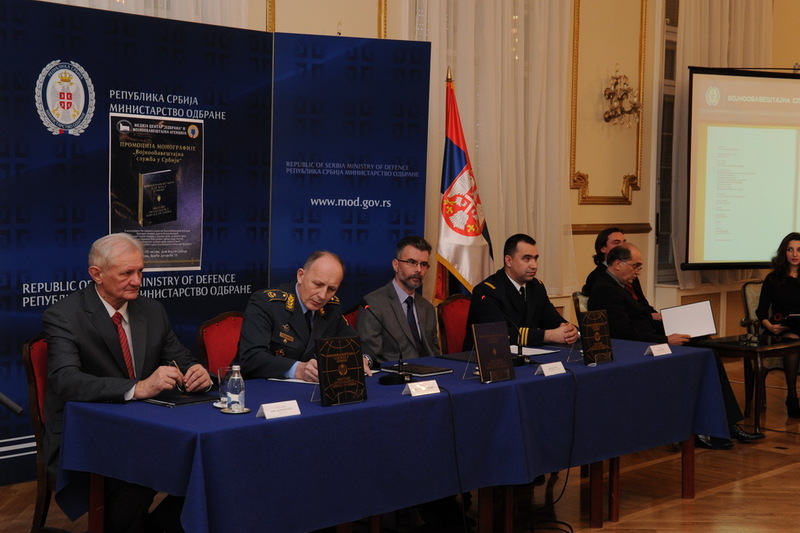 Director of the MIA emphasized that by publishing the monograph, richly illustrated with military documents and photographs, many of which becoming available to the public only now, the honor was shown to all of those building the foundations of Serbia since 1884, when the service was established and all of those who were Serbia’s first line of defence from threats coming from abroad. Speaking about members of the military intelligence service, General Vladisavljevic said that they had not counted on fame and money nor had they expected recognition, but that they had been led by patriotism and loyalty to the state and national interests. 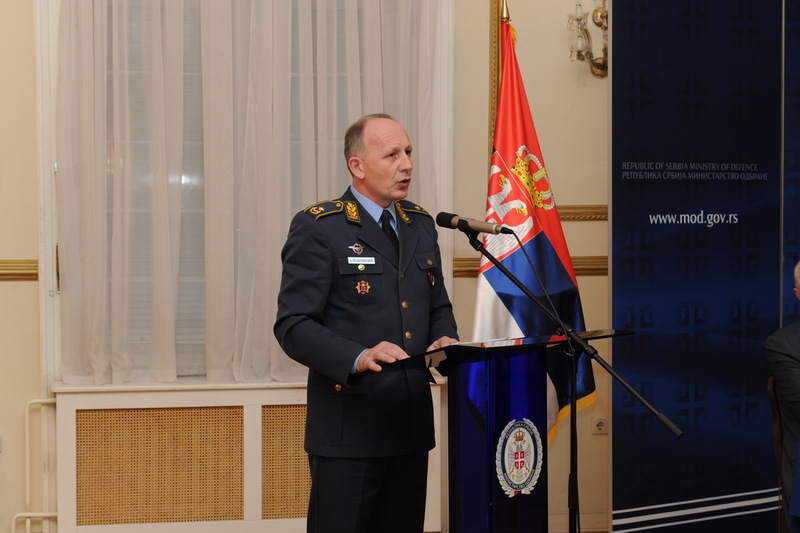 According to General Vladisavljevic, the role of the military intelligence service has stayed the same – the service’s role is to detect intentions of those who represent a threat to security and to prevent surprises and timely inform the state and military leadership on the surprises. 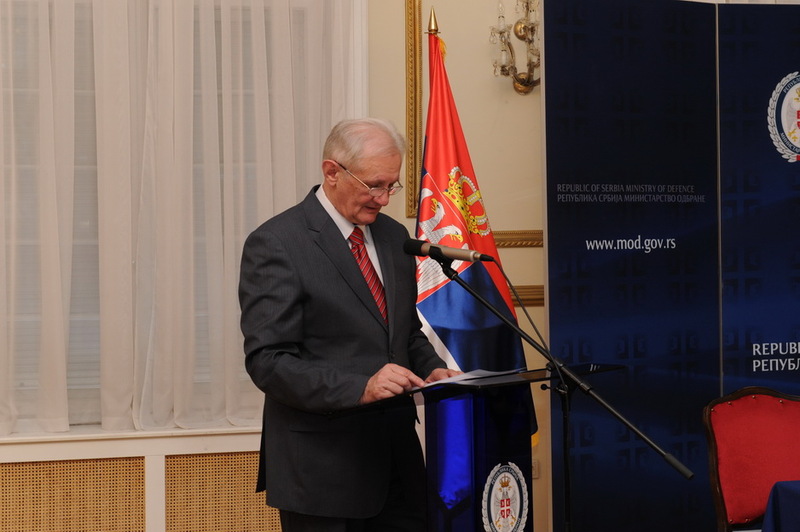 The consulting editor of the book, retired General Branko Krga, emphasized the remarkable significance of the military intelligence to the national security of the country. He pointed out that the monograph was used to indicate the special value of the service, which ''has never dealt with undermining other states and peoples, but which exclusively deals with collecting information with the aim of protecting our country''. Director of the National Library of Serbia Dejan Ristic assessed that it was the right time for such a piece of writing, witnessing the continuance of the service in time, to be presented to readers and experts, breaking stereotypes on the service being closed. 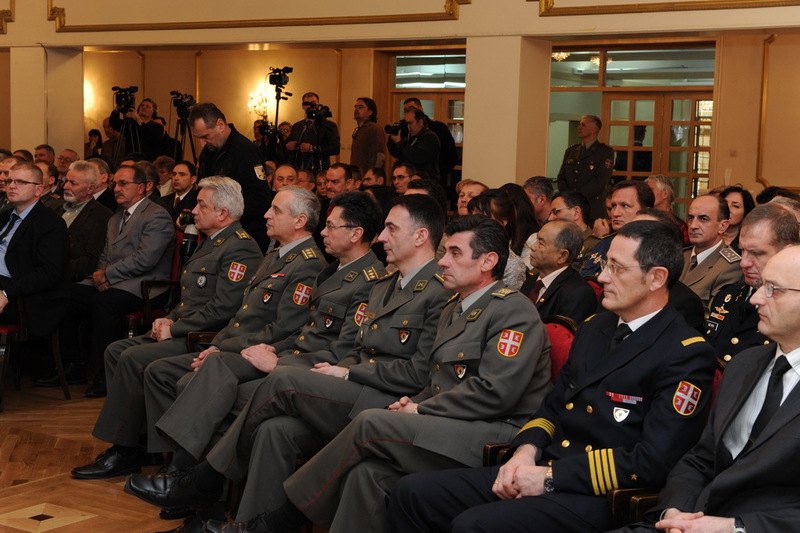 Major Dragan Savic addressed those present at the promotion on behalf of the Editorial Board. He emphasized that, during the research and work related to the production of the monograph, a large number of archival materials, kept in military and state archives, had been used, as well as numerous works of the expert literature. He also said that the makers of the monograph had talked to former members of the service and to their families. Actors Vojislav Brajovic and Sinisa Ubovic read parts from certain documents published in the monograph.